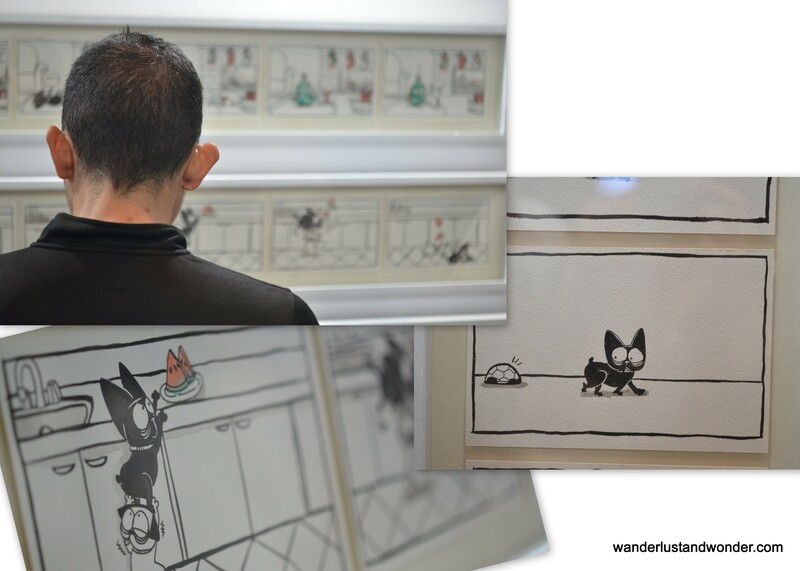 Right now there is a very cool show up at Inkubator Gallery (in the Forme building, Wijaya 1 no. 39). 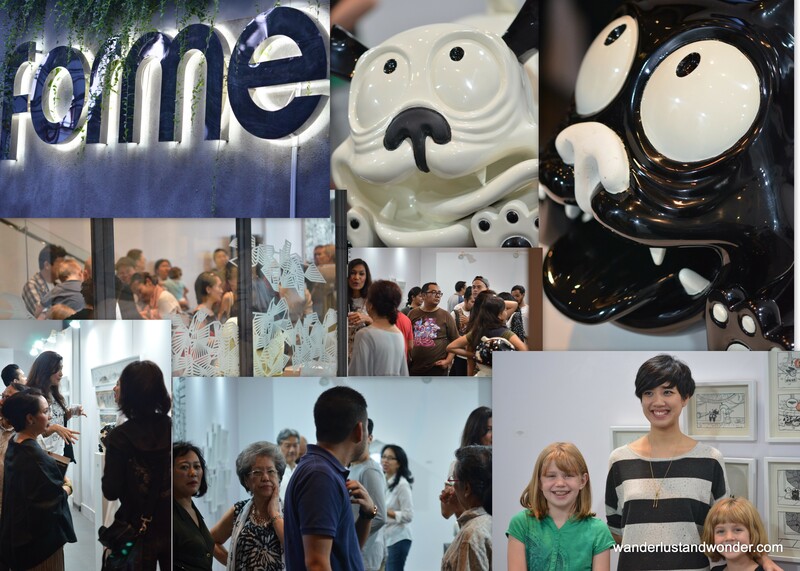 The Yin & Yang Dogs exhibition by Sanchia Hamidjaja is subversive, playful, and an all around good time. 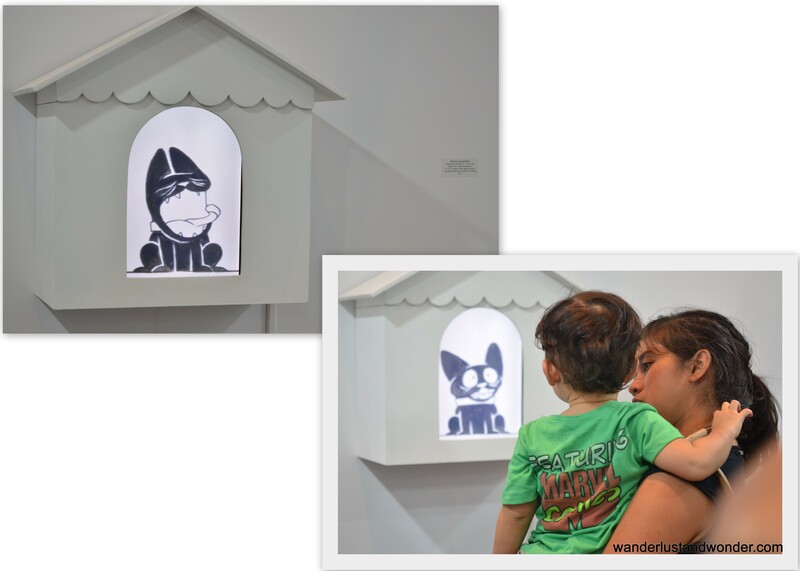 She portrays (in comic book style) the daily antics of her two dogs, Ringo and Kwamee, using ink on paper, acrylic on canvas, resin sculptures on skateboard wheels, as well as a doghouse wall sculpture featuring a 7 second- animation on a loop. 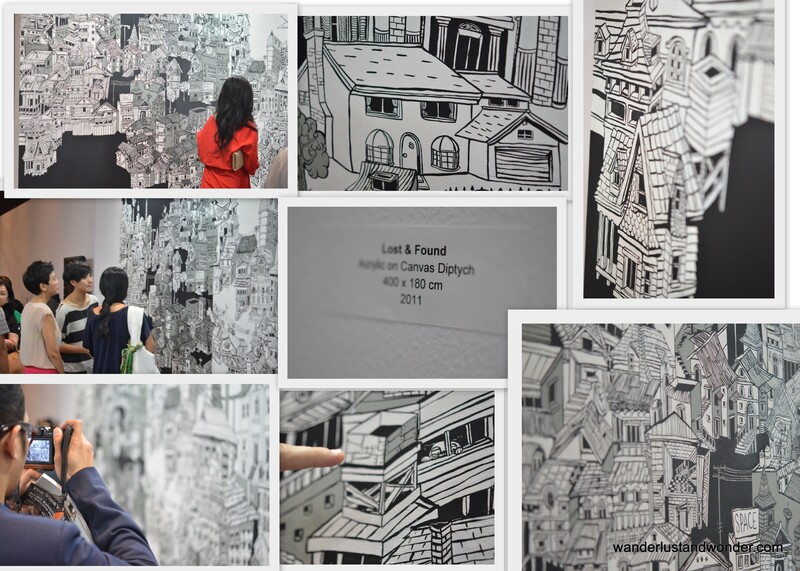 The largest work, a diptych (acrylic on canvas, 400 x 180 cm) titled Lost/Found tells of the time her dog was lost for several days in the chaotic megatropolis that is Jakarta. Hidden in plain sight are several fun appropriated images including the Simpsons house, Springfield Elementary School, the house featured in the movie Up, as well as the missing canine himself. Sanchia’s work is candid and sweet, conveying characters that are uniquely her own, in a ingeniously reductive way. I hope you get the chance to check out this show, as it is definitely worth the trip. That looks like a lot of fun to go there!!! I would love to see the lost/found in real size. That is an amazing pice. I will have to find the time to check it out! I hope you do :) I know you will love it!